Barcelona take on Chelsea in the 2nd leg of this UEFA Champions League clash on Wednesday night. Who will go through? Check out here our Barcelona vs Chelsea betting preview with predictions, betting tips, probable lineups, team news, enhanced odds, bookie promotions and no deposit free bets on this fixture! Barcelona are favourite to head through to the Quarter Finals after a 1-1 draw in the reverse clash in London. The Blaugrana are unbeaten in their last fourteen matches in all competitions and top La Liga table with a 8 point cushion over Atletico Madrid. They enter this match on the back of a routine away success over Malaga (0-2). The Catalans also boast a formidable home record in Europe, as they are unbeaten in five years with 22 wins and two draws from their last 24 games. Leo Messi missed last weekend's match because of the birth of his son, but will return to the starting XI here and lead the line with Luis Suares. Andres Iniesta and Nelson Semedo will miss the game through injury while Philippe Coutinho is ineligible. Denis Suárez and Sergi Samper are also doubts but neither are first choice anyway. Sergi Busquets and Ivan Rakitic will anchor the midfield with Paulinho and Ousmane Dembelè on the flanks. Sergi Roberto and Jordi Alba will start as full back, Gerard Piquè will be partnered by Samuel Umtiti at the heart of the backline. Chelsea are mixing good and poor performances in recent weeks. Since that draw again Barcelona, they have suffered back-to-back defeats away to the top two teams in Premier League, but returned to winning ways with a 2-1 win over Crystal Palace at the weekend. The Blues, who sit 5th in the league table, have now lost each of their last four away games in all competitions and won just two of their last 11 in all competitions. Plus, Antonio Conte's men have scored just four times in their last four games. Chelsea have no fresh injury concerns ahead of this one. The visitors only have David Luiz sidelined, Tiemouè Bakayoko and Ross Barkley are likely to still be unavailable. Antonio Conte should opt for a light attack, with Eden Hazard playing as false nine, Willian and former Barcelona player Pedro behind the Belgian. In midfield, Cesc Fabregas should get the nod over Danny Drinkwater and start alongside N'Golo Kantè. The likes of Victor Moses and Marcos Alonso will start as wing backs, with Cesar Azpilicueta, Antonio Rudiger and Andreas Christensen forming the backline trio. 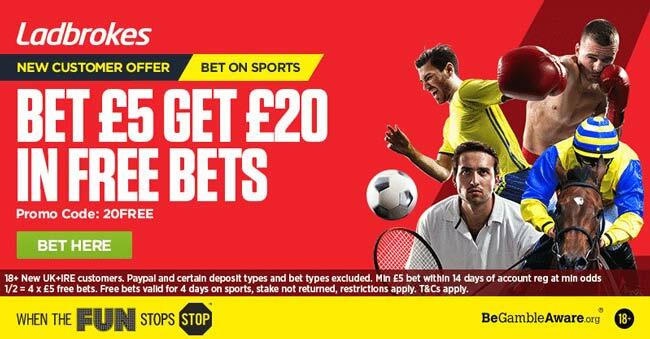 Coral offer 40/1 ANY Goal to be scored in Barcelona vs Chelsea + £5 free bet! BetAnSkill always provide the best odds on all the previewed matches. Find here the best prices available on the winner of Barcelona vs Chelsea (90 minutes only)! Don't waste your time! We also invite you to claim enhanced odds by visiting our dedicated page and boost your profits! Our recommended bets are fully researched by the BetAndSkill professional punters team, one of the highest regarded on the Internet. A lot of readers are making profits simply by copying our tips. Feel free to do the same, find below out betting tips on Barcleona vs Chelsea! Looking for more betting preview on this week's Champions League games? Jump to our Champions League predictions section! Don't miss our football tips anymore, follow us on Twitter! 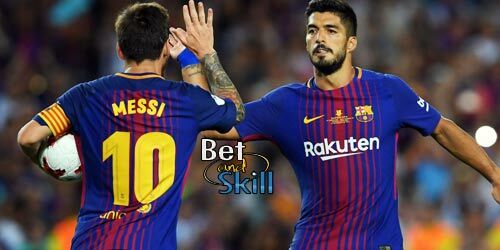 "Barcelona vs Chelsea predictions, betting tips, lineups and free bets (Champions League - 14.3.2018)"